Gary, the car owners and enthusiast are what make this hobby and events so enjoyable and educational. I was actually certifying the dust on that barn find car. Notice my elbo did not come in contact with the dust...that is a no...no. The 11 mile 63 impala and orig owner 8700 mile 70 chevelle SS may be attending MCACN show and participate in the Vintage program. Below is a picture of what I've seen exclusively. Will the oil line caps from the reproduction oil lines fit that fitting that Dave posted the same as original? Looks like I'm in the market for another block fitting then. The one at HBC is the correct fitting in reproduction? I believe I have a reproduction oil line from Ricks as a spare and one that is currently on my car now, also from Ricks should fit the HBC fitting then? On my orange Z I had to replace the line and the reproduction tapered fitting seemed a little oversized (didn't seat very deep), so I bought a 1/8" fitting kit from Advance Auto locally which had compression fittings. I cut the end and installed, which worked perfect. I did it as precaution, however the repop may work fine. Steve, you mean this fitting kit correct? Shouldn't be an issue using the nylon oil line. I'm thinking the oil line kit I got from Ricks in 2000 has the small ferrule already on the oil line as apposed to the bigger one your speaking of on the current oil line kit. Or should I use a new ferrule? And all this hinges on getting the reproduction block fitting from HBC or getting lucky enough to find an original...somewhere. Damn, thought we had this all worked out last year. I'm sorry that my post / pictures on TC #1 confused you with my verbage or which one I believed to be correct. The correct fitting is the one I posted with both male ends and all those pictures are of the same fitting with and without the oil line cap screwed on. 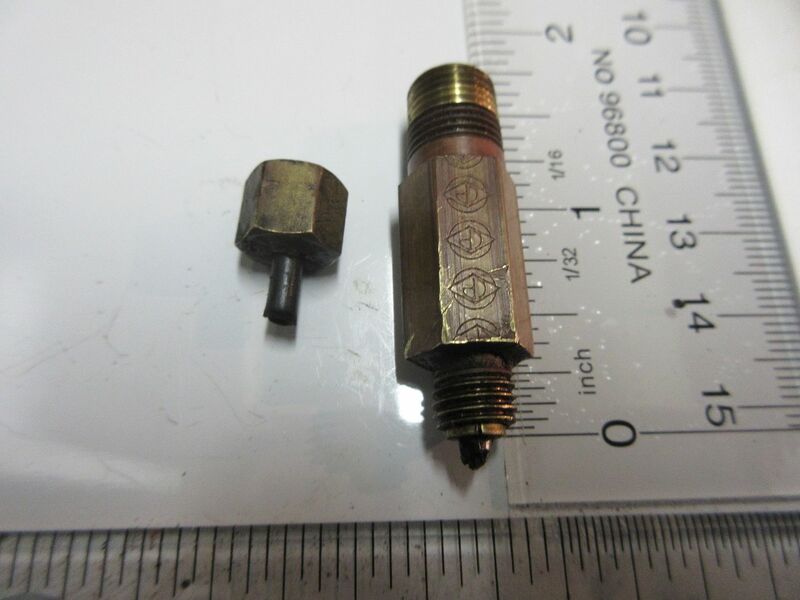 What I was trying to say or write should have read: There has been some discussion reference the original oil line brass fitting. The one that keeps being discussed with the female end that is believed to be correct, but isn't is usally seen on early 60's vehicle. All the oil line fitting that I have seen on a 69 Z28 is the one that I have pictured. Even my L48 Z11 Car has this fitting also and it original to the car. Maybe both styles were used, but I never seen that fitting used and a 69 Camaro Gauge Package Car". No problem man... besides being easily confused, I can't see or hear very well either.. when I looked at those three photos, the first one (with the cap on) seems like the other type of fitting, rather than the same fitting with a cap on it... I can see now that you showed the assembled unit first, then the broken down parts... Sorry about my confusion! If I may add to this thread as what's believed to be correct. 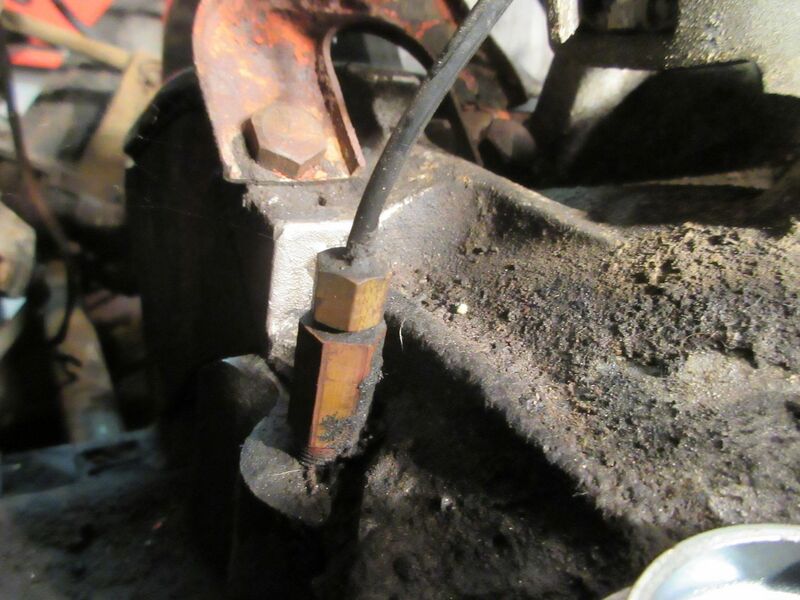 On my Z find thread, Gary (69Z28) had asked me what was my Oil Fitting set up installed on my block (#177). At the time I was asked I did not have it among any of my parts and figured I would never have it. Well within the last few days I picked up 2 more boxes of my original parts from the previous owner who had found them hidden away. 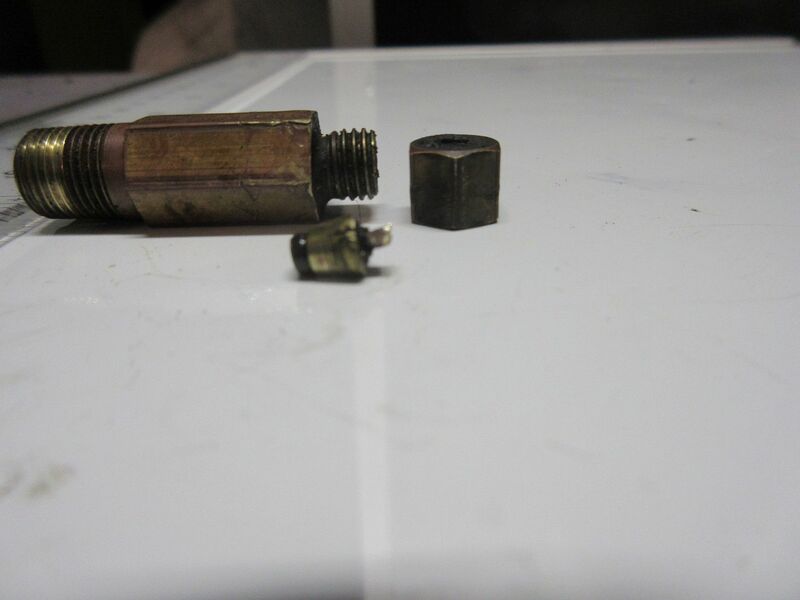 Inside one of the boxes was the original Oil Fitting to my Z. Pic below was what was among parts and other fasteners to my car. I hope this can help toward what may have been original to those with console gauges. Original, untouched oil pressure gauge fitting from my 2B Norwood RS Z/28.